Burns’ Casino Takedown update is live. People still playing the event will be able to still play till the Takedown is forced. As most of you know by now, every update not only brings new content but also changes to many other aspects of the game. From prices to appearance, task lengths to requirements, any part of the game is subject to change and many changes affect every player. Follow us right after the jump for the list of all of the changes. Update: App stores update is now available. 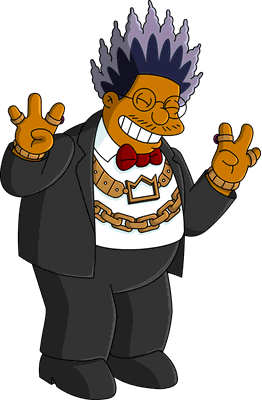 Burns’ Casino, Cletus’s Dice Den, Homer’s House of Cards and Gaming Moe’s are now storable. 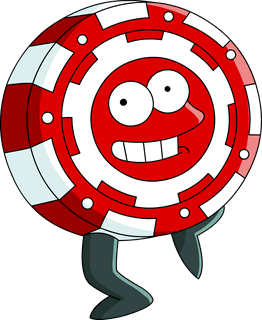 Burns’ Casino’s minigames are no longer playable. La Belle Frottage can now be placed on boardwalk and ornate pier tiles. 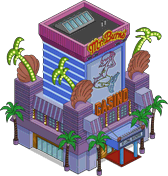 Burns’ Casino now has a 8h task: Giving the Gift of Gambling. Cletus’s Dice Den now has a 4h task: Rolling the Hillbilly Delicacy… Snake Eyes. 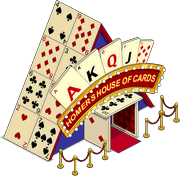 Homer’s House of Cards now has a 4h task: Miscounting Cards. Gaming Moe’s now has a 4h task: Giving Better Odds Than The Love Tester. Lucius Sweet and Drederick Tatum’s Promote Fight animation was fixed. 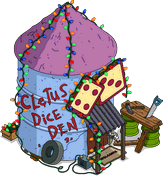 Moe’s Work at Gaming Moe’s, Cletus’ Work at the Dice Den and Homer’s Deal Cards are now permanent. 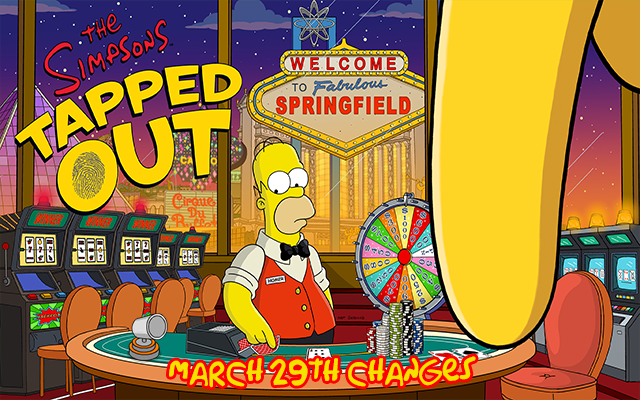 Springfield Falls now has a 1.5% Bonus $ and XP. Maggie’s crawling animation was fixed. Opening the Money Mountain and World’s Largest Redwood guide doesn’t produce a sound anymore. The app icon and the splashscreen were changed back. The landing point has been moved back to normal. Spotlights’ appearance in the menu were changed to smaller. Chippy now pays out the same similar as the Spucklers, depending on how long he’s been collecting money, 100$ every hour, till it reaches 500$ in 20 hours. Instead of beginning from the start of the inventory section every time, the game now memorises the last spot visited in each section. La Belle Frottage now pays out $90 and 10 XP every 4 hours. Join us next time for whatever is coming up next, happy tapping! Worst update ever since the Clash of Clones! Just effing awful!!! Yes, polute our towns with 20+ gaudy casinos and garbage period! Oh, yeah…that do NOTHING! Bailed on this sooo early….EA….this was pure diarrhea on your part!!!! You better come up with something solid in the next quarter!!! No pun intended! Do you guys think that there will be a update today? Hi, dumb question, how do i manually update im sick of the casino, I have tried app store? What store? Ios or android? If it doesnt show up just reinstall. Remember to have a origin/ea account first!!!! just go to the actual game page there and click update. Don’t know if anyone can help, but since the update after this event finished I can no longer get on the game on my IPad, have uninstalled and reinstalled and it has made no difference, the game loads, opens and then shuts down before I can do anything. I’ve always struggled to find anything useful to do with the ornate pier. Now I’ve got it purely as a setting for La Belle Frottage. (I stored the super fancy yachts or whatever they’re called; who needs em?) I’ve used various decorations to do it up nice, and I’ve done the same with Burn$ Casino, which I’ve kept on the boardwalk where it belongs. 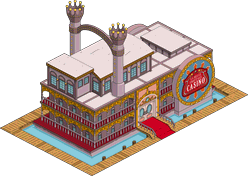 After the takedown update I suddenly put far more effort into decorating the casinos than I did while the event was on. Fortunately I used up all my craftables in the end, loading up on casino accessories in case I ever wanted them. Really? That’s no good. The oil rig is the perfect tool for turning cash into donuts. How? Buy and sell? I use weather stations for that. Gotta love the new group tool. What do you mean turn cash into donuts? Actually, aspirationals are the worst items for donut harvesting since they only give 1% XP as opposed to the usual 10%. Rat trap trucks are generally the best item for donut harvesting. Anybody else have the problem that you can’t collect chips?! Did the update on my phone and it took away ALL casino tasks. I also lost the ability to play any of the casino game…..poker, dice, slots. Even though I wasn’t forced to take down the event, chips stopped counting toward donuts for me. Oh well, I cleaned up pretty good over the course of these few weeks, I really didn’t need three more that badly. Also, I got my last daily task in under the wire, and that was good for a donut. yea that ended this morning at 9am BST. Wish we could choose where to have our game open up to… Previously I’d designed my town so it would open up to town hall and my unemployment buildings being the first thing I saw, making it easy to either locate characters or assign tasks. Was it my imagination or does Chippy now pay out cash like the Spuckler kids? Not my favourite event. I just managed to get Gabbo thanks to the currency still being accepted, but this is the first event in a long time where I haven’t won all the prizes. The games wore thin quickly, especially when loosing and get small wins was common place (the irony of it being gambling isn’t lost on me). 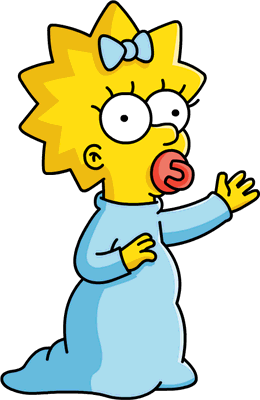 Still, it’s a pity the games didn’t remain to work alongside Springfield Downs as some kind of mini-game. This event was quite the easiest I can remember. I’ve never been able to collect as many bonuts in any event before, even in my freemium game. As long as you played regularly every 4hrs you should have had an easy time. What has happened to the daily tasks? If you had a task that rewarded game currency it is no longer there and tomorrow a new one should start. Previous Last 24 Hours for St. Patrick’s Day and Easter 2016 items! Next Springfield Badlands Teaser on App Stores!